What is the framework of flow that we need to follow to get from where we are, to where we want to go? As we approach our final month, equipped with an understanding of how we as a humanity fit within a cycle of time, in this Month we 'turn on', as an old biplane 'turns on' when the rotor is spun. We will step through the ten levels of value and the eight stages of enterprise growth. Get ready for a magical journey through the history of flow which will result in a deeper understanding of where we came from and where we are heading. 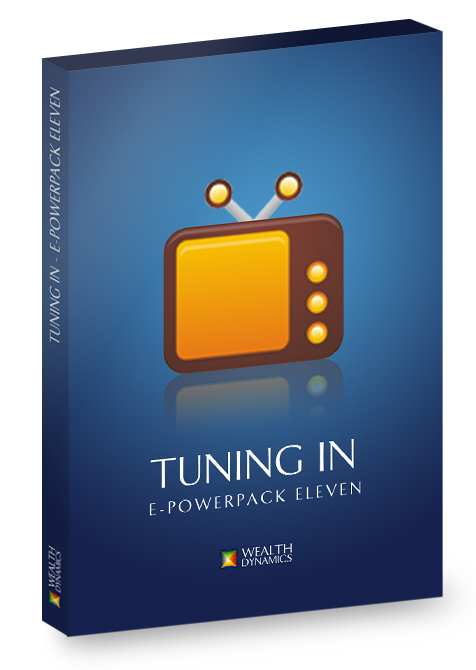 Click the button below to add the ePowerPack #11 - Tuning In to your wish list.